Rate this project Pat Riehecky has announced the release of Scientific Linux 7.3, a new version of the project's distribution built from the source packages for Red Hat Enterprise Linux (RHEL) and enhanced with scientific applications. The changes in this version include: "The 4.7 GB install disk for Scientific Linux 7 has been discontinued. We have retained the dual-layer install media. We have also produced an 'Everything' image which exceeds dual-layer sizes, but contains the entire tree. OpenAFS has been updated to version 1.6.20, the latest upstream stable. There is a new Scientific Linux End User License Agreement (EULA). The EULA now contains information about the U.S. Government contract under which Fermilab produces Scientific Linux. The Scientific Linux context plugin has been altered to be less aggressive in its use of network resources." See the release announcement and release notes for further details. Download (SHA256): SL-7.3-Install-Dual-Layer-DVD-x86_64.iso (7,071MB, pkglist). Separate live CD/DVD images with a choice of IceWM, GNOME or KDE desktops are also available: SL-7.3-x86_64-LiveCD.iso (698MB), SL-7.3-x86_64-LiveDVDgnome.iso (1,628MB), SL-7.3-x86_64-LiveDVDkde.iso (1,764MB). Pat Riehecky has announced the release of Scientific Linux 7.6, a new update of the entereprise-class Linux distribution rebuilt from source packages provided by Red Hat Enterprise Linux and sponsored by Fermi National Accelerator Laboratory in Batavia, USA. The new release comes with several minor updates and a known issue affecting the Cinnamon desktop users: "Scientific Linux 7.6 x86_64. These are the notes for the 'release candidate' of Scientific Linux 7.6. Please also review the upstream vendor's 7.6 release notes for major upstream changes. Scientific Linux 7.x users should run 'yum clean expire-cache' at this time. Major differences from upstream 7.6: Scientific Linux features the X.Org fix listed in Bugzilla 1650634. Major differences from Scientific Linux 7.5: sl-release is updated to use the 7.6 repos; PackageKit has initial support for notification of SL7 minor release upgrades, to use this feature you must install sl7-upgrade. 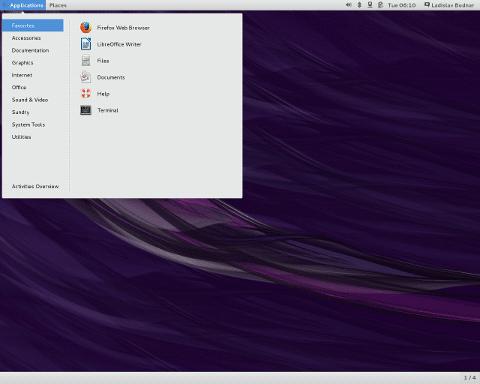 Known issues: Cinnamon desktop from EPEL7 prevents upgrades due to Caribou and GNOME Shell." Here is the brief release announcement, with further information provided in the detailed release notes. Download (SHA256, signature, pkglist): Scientific-7.6-Install-Dual-Layer-DVD-x86_64.iso (7,994MB), SL-7.6-x86_64-netinst.iso (549MB). Pat Riehecky has announced the availability of Scientific Linux 6.10, the final build of the Red Hat-based distribution's legacy branch, supported until November 2020: "Scientific Linux 6.10 i386/x86_64. According to the upstream lifecycle guide, 6.10 is expected to be the final release of EL6, with only important security errata or critical bug fixes going forward. Please run yum clean expire-cache. Major Differences from SL 6.9: sl-release - updated to use the 6.10 repositories; OpenAFS - updated to 1.6.22.3. Changed compared to Enterprise 6: httpd - changed the default index.html to remove upstream's branding; Plymouth - removed the red colors for text mode; redhat-logos - changed all trademarked icons and pictures from upstream, changed styles of items such as background, GDM and KDM to change the tradedress style; Anaconda - add the Scientific Linux install classes, DVD installs do not ask for the network unless needed; redhat-rpm-config - changed to recognize Scientific Linux as an Enterprise Linux; xorg-x11-server - changed to remove TUV's support URL...." See the release announcement and release notes for further information. Scientific Linux 6.10 is available either as a full 5.8 GB ISO image or two smaller DVD images; download links (SHA256, pkglist): SL-610-x86_64-2018-07-03-DVD-DL.iso (6,008MB), SL-610-x86_64-2018-07-03-DVD1.iso (4,240MB), SL-69-x86_64-2017-04-11-DVD2.iso (1,767MB). Scientific Linux is a distribution built by re-compiling the source code for Red Hat Enterprise Linux and providing some additional packages and features. The project has announced an update to the distribution's 7.x series, Scientific Linux 7.5. The release announcement states: "Scientific Linux 7.5 x86_64. Please also review the upstream vendor's 7.5 release notes for major upstream changes. Scientific Linux 7 users should run 'yum clean all' at this time. Major differences from Scientific Linux 7.4: sl-release is updated to use the 7.5 repositories; OpenAFS is now version 1.6.22.3; the kmod was published with the 7.5 security kernel; Anaconda crashes no longer offer to open a Bugzilla with the upstream vendor; NetworkManager.i686 is no longer packaged for SL7. Known issues: if you have NetworkManager.i686 installed you must 'yum remove NetworkManager.i686' before upgrading. Applications which depend on exiv2-libs may need to be rebuilt. Users of ZFS On Linux should review." Download (SHA256, signature, pkglist): Scientific-7.5-Install-Dual-Layer-DVD-x86_64.iso (7,175MB), SL-7.5-x86_64-netinst.iso (529MB). Pat Riehecky has announced the release of Scientific Linux 6.9, the latest build of the distribution's legacy branch, compiled from source package for the recently-released Red Hat Enterprise Linux (RHEL) 6.9. As is the case with the upstream distribution, this branch of Scientific Linux will be supported until November 2020. "Scientific Linux 6.9 i386/x86_64. Scientific Linux 6.x users please run 'yum clean expire-cache'. Major differences from Scientific Linux 6.8: sl-release - there is a new Scientific Linux End User License Agreement (EULA), the EULA now contains information about the U.S. Government contract under which Fermilab produces Scientific Linux; sl-release-notes - updated for Scientific Linux 6.9. Along with the changes noted in the upstream release notes." Here is the brief release announcement, with much more details, including a complete list of changes compared to Red Hat Enterprise Linux 6.9, provided in the release notes. Scientific Linux 6.9 is available either as one complete 5.8 GB ISO image or two fit-on-DVD ISO images; download links (SHA256, pkglist): SL-6.9-x86_64-DVD.iso (5,982MB), SL-69-x86_64-2017-04-11-DVD1.iso (4,242MB), SL-69-x86_64-2017-04-11-DVD2.iso (1,740MB). Pat Riehecky has announced the release of Scientific Linux 7.2, the latest stable version of the Red Hat-based distribution enhanced with scientific applications: "Scientific Linux 7.2 x86_64 released." Some of the changes in this version include: "yum-conf files pointing to non-base SL (such as EPEL, ELRepo, SL-Extras, SL-SoftwareCollections, ZFS) have moved to a central location; the install media now features the yum-fastest-mirror plugin which should locate a quickly responding mirror for network installs; SL 7.2 includes initial support for Scientific Linux Contexts which should allow for ease of creating local customization for specific computing needs; OpenAFS has been updated to version 1.6.16; the IPA packages have been customized to remove the upstream links to their support services....." Read the release announcement and release notes for more information. Download (SHA256): SL-7.2-DVD-x86_64-2016-02-02.iso (4,230MB, pkglist). Separate live CD/DVD images with a choice of IceWM, GNOME or KDE desktops are also available: SL-72-x86_64-2016-02-03-LiveCD.iso (694MB), SL-72-x86_64-2016-02-03-LiveDVDgnome.iso (1,577MB), SL-72-x86_64-2016-02-03-LiveDVDkde.iso (1,713MB). Pat Riehecky has announced the release of Scientific Linux 6.7, the latest update of the distribution's legacy branch, built from source packages for the recently-released Red Hat Enterprise Linux (RHEL) 6.7: "Scientific Linux 6.7 i386/x86_64. Existing 6x systems should run 'yum clean expire-cache'. Major differences from Scientific Linux 6.6: OpenAFS has been updated to the latest bug-fix release (1.6.14); epel-release-6-8 - this RPM has been updated to the latest upstream release; glusterfs-server - built from the TUV provided sources for the glusterfs client. Possible upgrade problems: sssd-common is no longer multilib compatible. If you are using sssd-common.i686 on x86_64 systems you will be unable to update. Please remove the i686 rpm on your x86_64 systems to resolve this issue." See the brief release announcement as well as the more detailed release notes for further information and a full list of differences between RHEL and Scientific Linux. Download the installation DVD image from here: SL-6.7-x86_64-DVD.iso (4,142MB, SHA256, pkglist). Pat Riehecky has announced the release of Scientific Linux 7.1, a distribution compiled from the source code for Red Hat Enterprise Linux 7.1 and enhanced with extra scientific applications: "Scientific Linux 7.1 x86_64 released." 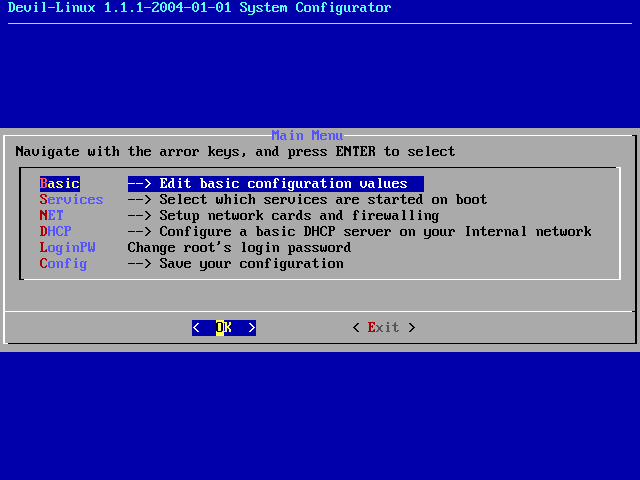 This release delivers a number of changes, including: "abrt - removed the recommendation to open an upstream support case; Anaconda - modified the installclass library so that it correctly identifies Scientific Linux; DHCP - changed to remove upstream's bug report URL; GRUB - this package has been modified to recognize the Scientific Linux Secure Boot key; Apache httpd - changed the default index.html to remove upstream's branding; ipa - changed package requirements to remove upstream's branding; Linux kernel - this package has been modified to recognize the Scientific Linux Secure Boot key...." See the release announcement and release notes for further details. Download (SHA256): SL-7-DVD-x86_64-7.1.iso (4,086MB, pkglist). Separate live CD/DVD images with a choice of IceWM, GNOME and KDE desktops are also available: SL-71-x86_64-LiveCD.iso (688MB), SL-71-x86_64-LiveDVDgnome.iso (1,476MB), SL-71-x86_64-LiveDVDkde.iso (1,653MB). Pat Riehecky has announced the release of Scientific Linux 6.6, the latest update of the distribution built from source package for Red Hat Enterprise Linux 6.6, with additional software meant for use in scientific and academic environments: "Scientific Linux 6.6 i386/x86_64. Major differences from SL6.5: OpenAFS has been updated to version 1.6.10 from openafs.org; X.Org Server features a new ABI. Users of proprietary drivers may experience issues with the X server loading due to changes between X.Org Server 1.13 and 1.15. Users of the 32-bit iSCSI utilities on x86_64 systems may experience multilib complaints. The 32-bit iSCSI utilities are not provided by upstream on x86_64 platforms. We have removed them from 6.6 to follow their behavior." Here is the brief release announcement, with further details available in the release notes. Download: SL-6.6-x86_64-2014-11-05-Install-DVD.iso (4,113MB, SHA256, pkglist). Live CD/DVD images of Scientific Linux 6.6 are also available.